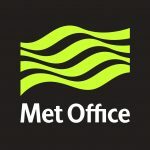 Click the image above for the full Lake District forecast from the Met Office. The people behind the weather forecasts that feature on TV, online and on your phone – keeping you in touch with our ever changing weather. Click the image above for the full Lake District forecast from Weatherline. Each winter, usually from December to March, our Fell top assessors walk up Helvellyn to check conditions, take photos and supply a report to add to the Met Office. Click the image above for the full Lake District forecast from MWIS. Includes the whole of Cumbria, and also the western Pennines North from Ingleborough.